I, originally intended for them to be Default Overrides, but EA designed them to each share a common resource, and therefore not possible. 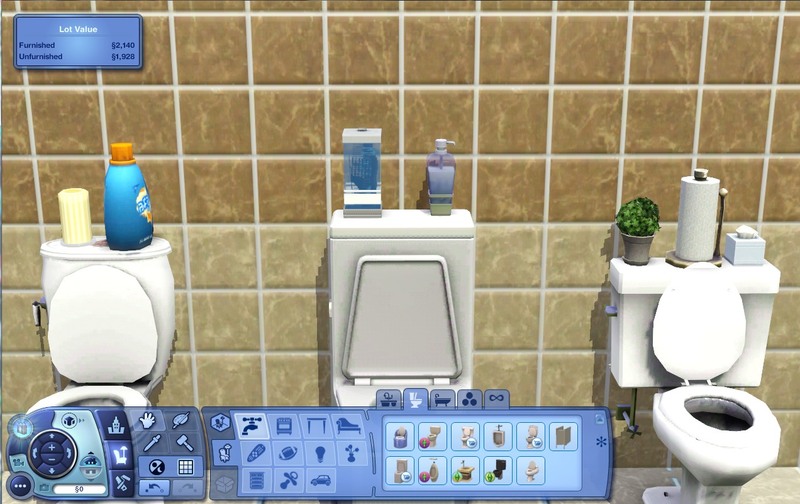 So they are cloned from the originals, edited to have slots on the back, and then I added a separate mod to hide the originals from the Buy Catalog, so you wouldn't see two of each of the toilets. The files have been run through a Rig Fix since they were affected by the rig bug with patch 1.26. I apologize for not having done this sooner. 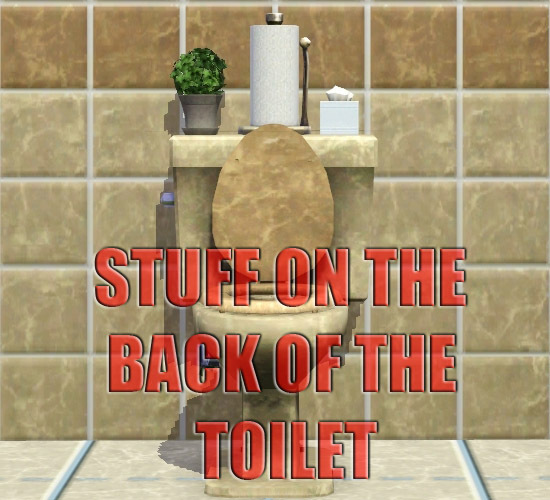 werismyki_stuff_on_the_back_of_the_toilet.7z | Description: Did you Remember to click on the &quot;Thanks&quot; button?